Now that I am able to control the camera, I was able to get back to the automation goal. I originally set out to AUTOMATE the camera, but I was just thinking of the camera controls – focus, iris, f-stop. And then, I figured that if I was going to automate the camera in a way that would be repeatable, well, why not make a camera that could move repeatably, too. I looked at existing automated camera dollies and they seemed expensive and limited. Few were repeatable and most were just sliders with a belt attached to a motor. So, cambot, or robocam, or whatever it will be called, was born. 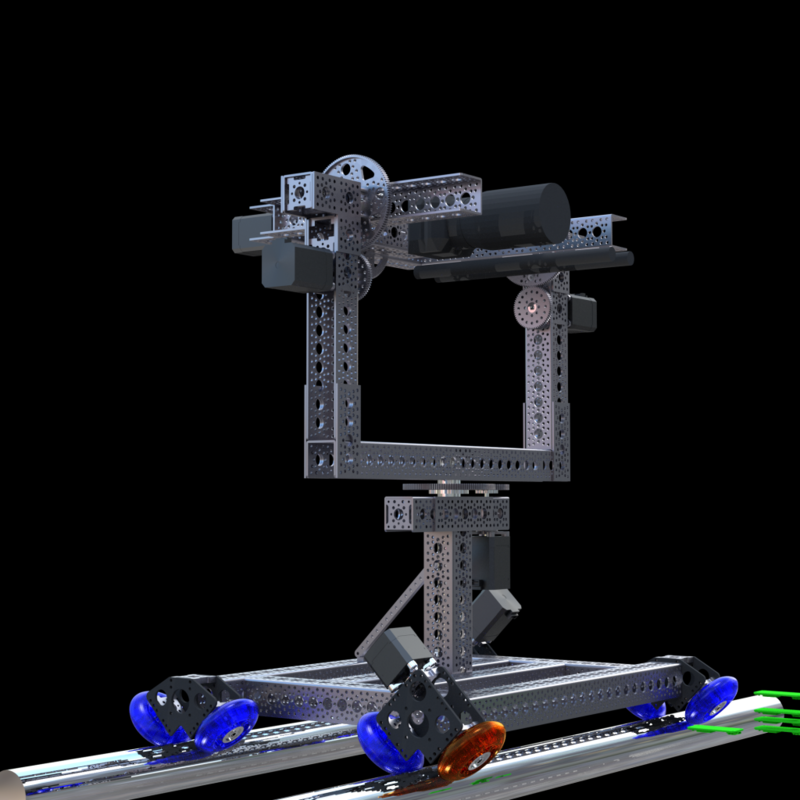 It will be repeatable for movement down a track, plus all three rotation axis, plus all camera controls, plus focus/iris/zoom servos for manual lens automation. PLUS, I should be able to tie it all in to a wireless RGB stage lighting setup that will control per light brightness and color. So the goal is no less than camera movement and exposure synced together with lighting in a repeatable way. All controlled by some curves in Vezér, using WiFi and OSC. While filming, I should be able to repeat every take unlimited times, with all camera and light cues automated and synchronized. 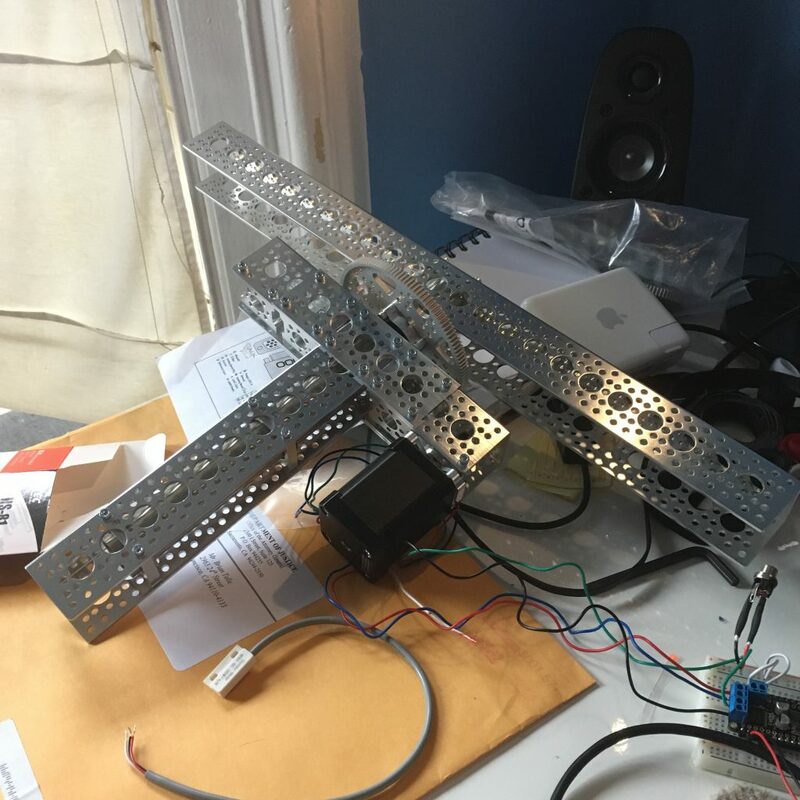 It could really allow me a completely new way of filming, and it should only cost around $1000 to build the whole bot. But it is all so experimental for me that it might just end up a useless wiggling erector set. I’ve built it in 3d using Blender, ServoCity makes a kind of robot-erector set and they supply 3d models of everything they sell. The brains are going to be Adafruit feather Arduino boards, driving a mix of stepper motors and servos. It might even be self-leveling, maybe. The first parts went together exactly in reality as they did in 3d, so it really seems like it might work.